What is Rovio's Project Magic? The announcement for Project Magic was almost impenetrable. The essence of the news - that Rovio is venturing into augmented reality - was understandable enough. But the promise that Angry Birds fans would be able to "engage in highly immersive branded content experiences that bridge the gap between digital and physical licensed products" was somewhat less clear. 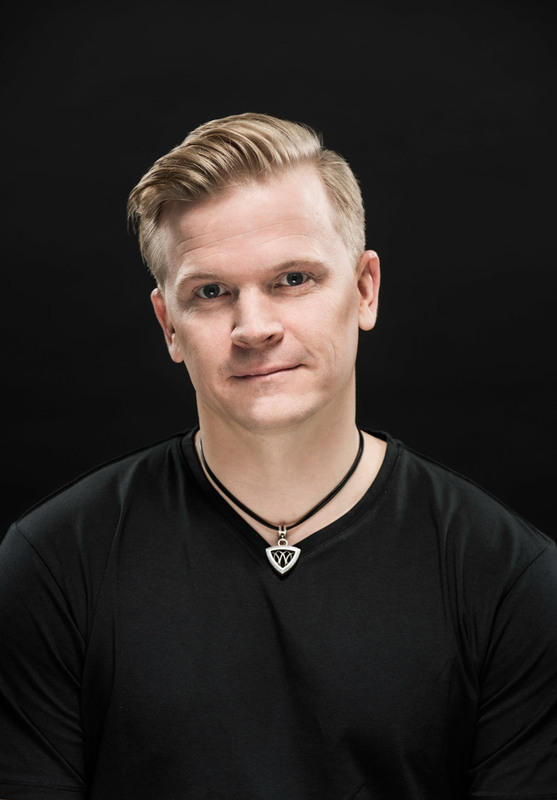 "There's a reason for that," Rovio's SVP of brand licensing Simo Hämäläinen told GamesIndustry.biz at Brand Licensing Europe (BLE) in London last week. "This announcement was more about the development of the app, which we wanted to let the industry know prior to the event to help us to get partners." Fair enough. BLE sees hundreds of major IP holders come together to showcase their properties, their recent partnerships and potentially forge new ones. But it still isn't clear up what an AR-based Angry Birds offering looks like. This is in part, Hämäläinen said, because the project is at an early stage. "What we can say is it's an application that's going to be AR-based, and its function is going to be more for the use of our licensing partners and us, linking the physical, licensed products to the digital environment of Angry Birds in the way of AR. It's giving that digital overlay extra experience to the physical product, hence bringing more value to the fans and more consumers." So far, so vaguely digestible. 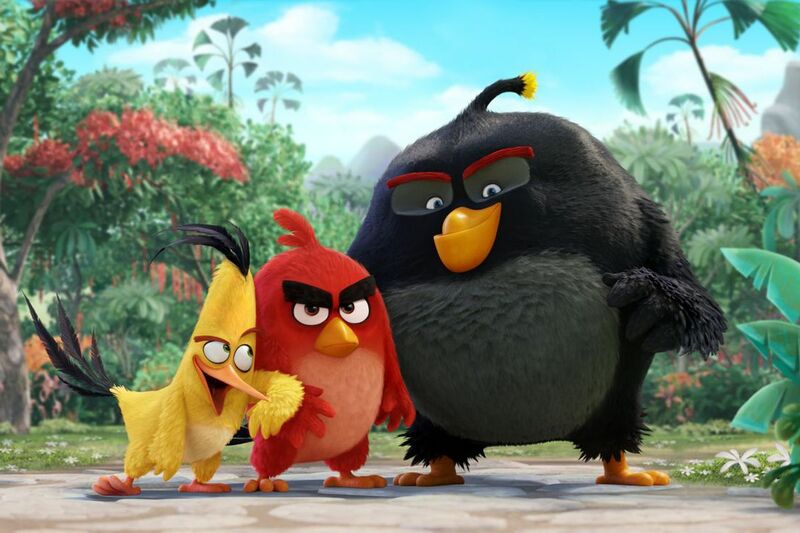 It suggests Project Magic will revolve around various items of Angry Birds merchandise produced by the studio's licensing business and its partners. Scanning the code that comes with these items will unlock content or game experiences in the associated app, which will use augmented reality in some way to bring the furious feathered icons to life. "AR has always been treated as a little bit gimmicky - and we hope to change that with our approach"
It's not Rovio's first venture down this road. 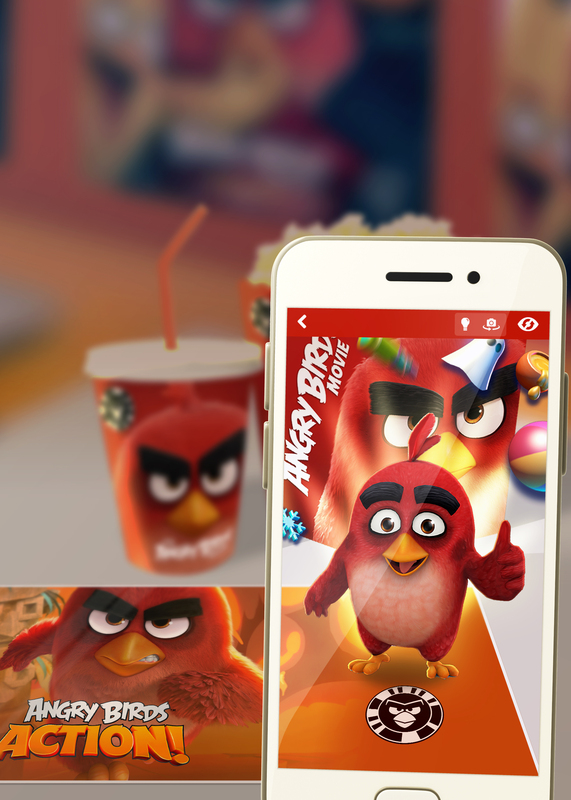 Around the release of The Angry Birds Movie, Hämäläinen reminded us, the studio teamed up with Zappar to create AR experiences that promoted both the film and the accompanying mobile game Angry Birds Action. Anyone who bought the t-shirts, backpacks, posters, cups, sweets, drinks, notebooks or even McDonald's burgers would find a 'birdcode' with their purchase. This could be scanned to unlock AR mini-games, photo filters or power-ups for Angry Birds Action. "It was a little bit in the right direction," Hämäläinen recalled. "Now we're going a little bit further and designing an application for that sole purpose." He continued: "We were happy with the metrics and statistics, and we saw the benefits of having that program in many aspects and decided this is something we wanted to do. Now we know what we need to do better and improve from the first time." Unlike virtual reality - a concept that has only really been proven in the last five years - augmented reality has been around considerably longer, particularly thanks to the rise of smartphones and tablets. These alone ensure the tech has a far greater addressable audience, and yet there has been no 'killer app' or experience that has truly proven the potential for the technology. Some might argue Pokémon Go was the first massively successful AR game, but the AR functionality itself is optional and not core to that particular experience. So what has held augmented reality back, and why is Rovio now investing more time and resources into it? Hämäläinen hinted at ambitions to make it a major part of how fans engage with the Angry Birds brand, particularly given everything the Finnish firm has planned in the years to come. "It's always been treated as a little bit gimmicky - and we hope to change that with our approach, to make it part of something that enhances an experience and gives more value to physical products," he said. "And of course it has to be linked to a universe and an experience where our audience can have fun. "We are planning on doing it in a way that is much more than only scanning products and just the AR part - there's going to be more in the ecosystem and the universe of the application"
"When I look at it from a licensing point of view, we really do have some good stuff coming - we have the company's strongest content roadmap [in ages]. So next year we have a movie, the year after we're planning our first long-form animated series, we have live shows in the plan, unscripted television competition shows, Angry Birds' 10th anniversary - there are a lot of things in the pipeline, and this application will bring some of those things together in that universe." He went on to add that part of AR's gimmicky reputation is down to how brands have used it, often as part of a temporary promotion for another product or service rather than as a ongoing proposition in and of itself. Not so with Project Magic. "We believe this is going to be a long-term thing for us," said Hämäläinen. "I can't go into much detail, but we are planning on doing it in a way that is much more than only scanning products and just the AR part - there's going to be more in the ecosystem and the universe of the application. And we hope that will remain [the case] for a long time." He added that the fact Project Magic will be a dedicated app - as opposed to something that integrates with an established one, as with the Zappar promotion. "Now it's a whole universe built around it," he said. "We believe it's going to be much more this time." In fact, augmented reality may have a larger role to play in Rovio's future, as will other 'reality' tech. In the same week as the Project Magic announcement, the studio released Angry Birds: First-Person Slingshot for mixed reality platform Magic Leap. "One of our strategic pillars is looking at the future of gaming: what is new, what is hot in the gaming space - AR, VR, blockchain, all of these things," Hämäläinen explained. "It remains to be seen how successful these things will be, but we really try hard to on top of the trend. We'll see what happens. Hopefully someday it can become meaningful revenue-wise [but] many of these technologies are still in a very early stage." At several points in our conversation, Hämäläinen said Project Magic would help Rovio's licensing division secure more partners, thus paving the way for more merchandise. He said that "adding the digital element in licensing is something that people expect" nowadays, hence the strong presence from video game firms at BLE last week (including Activision, Ubisoft, PlayStation, Pokémon and Sega). But this does suggest Project Magic could be used as a way to sell more merchandise. Whatever the final app or game might be, there's a danger Rovio could be perceived as driving players to buy Angry Birds licensed products to progress with it. Less toys-to-life, more tees-to-life. Hämäläinen assured this is not the case: "The base idea is that you can have fun with the app without having to buy something. We don't want to force people to spend money or buy products - you can have fun without needing that link to something physical." It is also hoped that Project Magic will help inject a little energy into Rovio's games business - or at least offset some of the recent disappointments. Despite game revenues rising, the company's profits have been falling in recent financials and newer releases like Angry Birds Evolution, Angry Birds Match and Battle Bay have not performed as well as Rovio had hoped. Hämäläinen reiterated that Project Magic remains first and foremost a licensing venture, but added that it should help grow the audience for future Angry Birds games. He concluded: "The licensing business is mainly aimed at a younger audience, and that helps our games business because we get more consumers as they are younger, so hopefully one day they move into the games space."